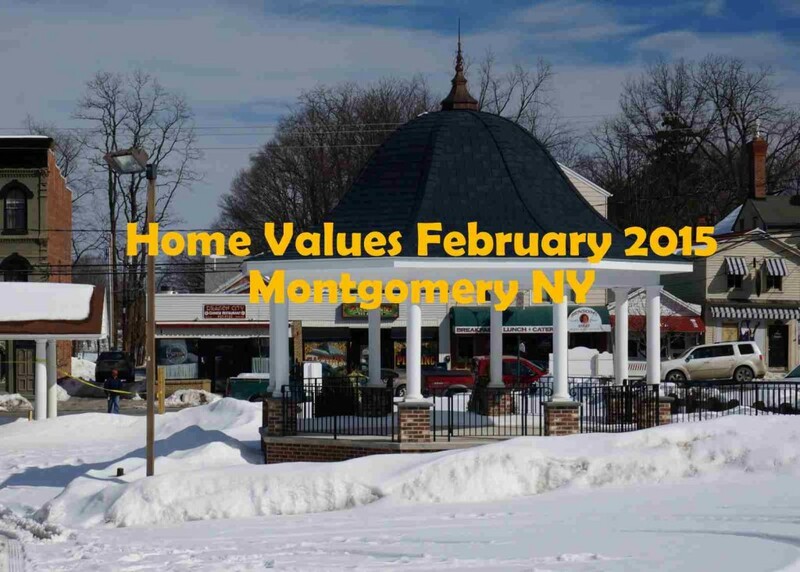 What is my Montgomery NY Home Worth in February 2015? What is My Montgomery NY Home Worth? While new homes are popular, the inventory of new construction homes is almost non existent. The new homes that will be available this spring are few as building was slowed a bit this winter. Most of our new homes are “to be built”. This can be a plus for sellers that get their homes on the market soon as the competition will be less difficult. It is hard to compete with shiny and new!. The number of homes that sold in February compared to last month are down, but only by a few. Taking into consideration the weather and delays at every turn, the market actually appears rather consistent. January and February are notoriously slow months in comparison. Even so, we saw buyers and sellers with a plan of action in mind. Serious buyers are the ones out during a snowstorm making the decision to buy. Sellers had time to get their homes ready to put on the market for when the snow was plowed, welcoming buyers to their homes. 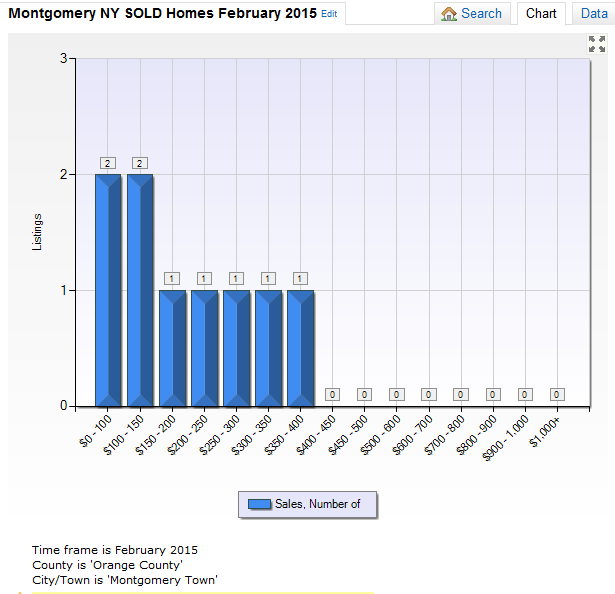 It is clear what homes are selling in Montgomery NY. Housing that is affordable and in good condition. The lower end homes are being purchased with new owners planning to do a good deal of work after they purchase a home. Under the $150,000 price point does not get a turnkey, updated home in the Hudson Valley. Many investors purchase these homes in order to either rent them out or fix them up and sell them at a profit. Homes in Montgomery NY are affordable. This advertisement does not suggest that the broker has a listing in this property or properties or that any property is currently available See what homes are currently on the market in the town of Montgomery NY. Begin with page one of many. published by: your real estate expert Janis Borgueta Key Properties of the Hudson Valley as a community service in Newburgh NY. To receive more real estate information please subscribe to this blog. Looking to buy a new home? You can contact Janis at (845)-527-7115 or find her on Google+ Statistics represent single family homes for sale in Montgomery NY (source HGMLS ). Information is deemed reliable but not guaranteed.